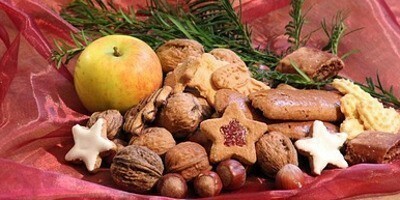 Every region in Italy has its own typical cuisine and food traditions, even during the Holiday Season. Some regions have more than one dolce di Natale and the best way to discover them all is to visit Italy and taste these delicious homemade sweets as you travel. To give you just an idea of how you can treat your sweet tooth during the Festive Season, here is a selection of 13 Italian Christmas Desserts, one from each region where you can learn Italian or join cooking courses and art workshops with Studiainitalia. These Christmas cookies originated in Palermo and are also known as cucciddati in dialect. A thin pastry wraps around a filling of dried figs and nuts, and other ingredients depending on the areas where they are prepared. This ancient dessert originated in the Middle Ages, when it was made by pharmacists (known as speziali). Later, the friars of Certosa began preparing the panspeziale, and they were so good at it that the dessert changed name to certosino. Typical from Bologna, it is made with almonds, pine nuts, dark chocolate, and candied fruits. This is a spiral-shaped cake of sweet leavened dough, filled with dried fruits, raisins and amaretto, and sparkled with grappa or slivovitz (a plum spirit). The nepitelle calabresi are typically prepared for Christmas and Easter. Their name derives from the Latin word “nepitedum” (eyelids), because these sweets resemble a closed eye. They are filled with walnuts, dried figs, almonds, Strega liqueur, and dark chocolate or honey. This sweet bread with raisins, candied fruit and pine nuts originated in Genoa in the Middle Ages. This is the most popular Christmas dessert in Italy along with Panettone. Shaped like an eight-pointed star and dusted in vanilla-scented icing sugar, it descends from the ‘pan de oro’ created in Verona in the 19th century to celebrate the first Christmas under the Scala dynasty. The most famous Italian Christmas dessert, even abroad. It originated in Milan in the 9th century. The classic recipe includes flour, eggs, butter, raisins and candied fruit; although today there are many versions, for example with chocolate or pistachio cream. Originating in Siena as far back as the year 1000, the panforte is one of the most sumptuous Italian Christmas desserts. It is a dense, flourless, and heavily spiced fruitcake mixing honey, spices, candied fruit, and almonds. The name literally means "strong bread". Ever since the times of Imperial Rome, pangiallo (literally “yellow bread”) is prepared on the day of the winter solstice as a good omen for the return of long, sunny days. That’s why it has a golden crust, given by the mixture of flour, oil and saffron. It includes dried and candied fruits and raisins. This round, sweet-and-sour cake is made with walnuts, hazelnuts, almonds, cinnamon, nutmeg, chocolate, honey, raisins – and as the name suggests – even pepper. Although you can find them throughout the year, the sebadas (or seadas) are typical of special occasions such as Christmas and Easter. They are a fried dessert with a savoury touch, filled with local pecorino and covered with corbezzolo honey. 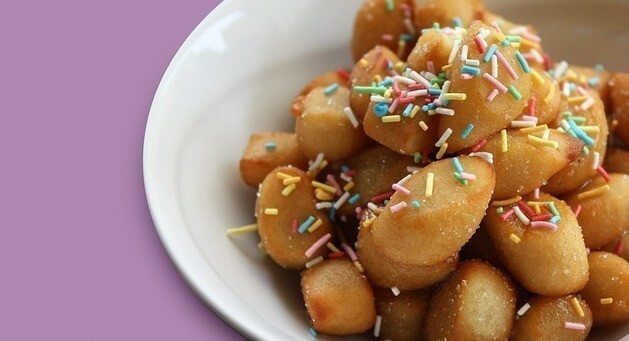 Originally from Naples, Struffoli are deep-fried little dough balls coated in honey, sprinkles and candied fruit. They are served once shaped into a Christmas tree or a pyramid. Resembling a small tree trunk, this roll is made with eggs, flour and mascarpone, topped with chestnut cream and chocolate flakes. Did we list your favourite Italian Christmas dessert? Share your thoughts below! 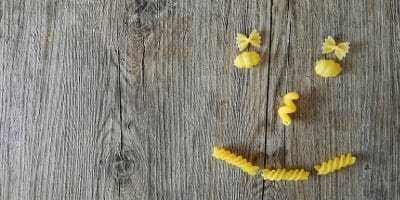 Italians are very proud of their cuisine and their relationship with food, which is an essential part of local lifestyles. Do you love good food and enjoy cooking? A vacation with cookery classes in Italy provides you with a fantastic and inspiring way to taste new and familiar flavors, discover traditional recipes and improve your chef skills, whether you are an amateur or a professional. How can you make the most out of your cooking vacation in Italy? We have some ideas for a full immersion in Italian lifestyle, alternating hands-on cooking courses with other food experiences in some of Italy’s most beautiful art cities. One of our partner cooking academies in Florence offers a unique experience involving a guided visit to the Market of San Lorenzo. Here, participants personally select the fresh and healthy ingredients needed for their cooking lesson. 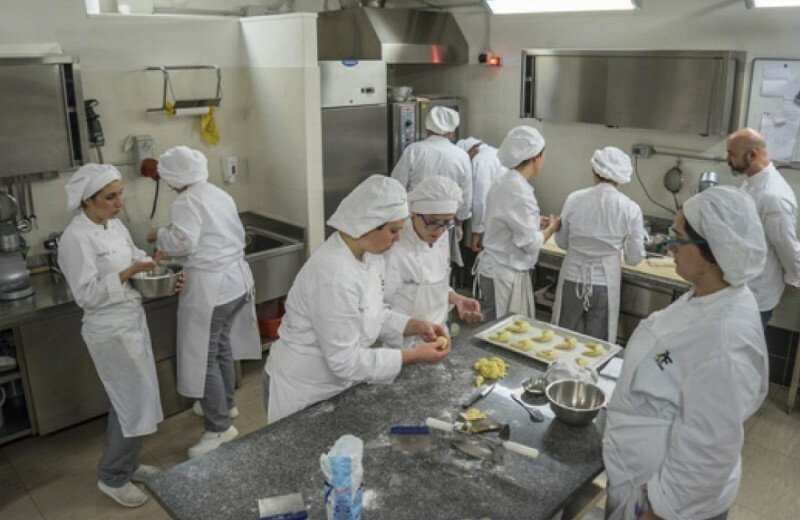 Following the market visit in the morning, participants proceed to the school where they learn how to prepare typical Italian dishes using those ingredients under the guidance of a chef. The visit to the Mercato di San Lorenzo is a must in Florence. This historic place includes an indoor market, known at the Mercato Centrale (home to all things food) and the outdoor section in the surroundings streets (selling leather, clothing and souvenirs). 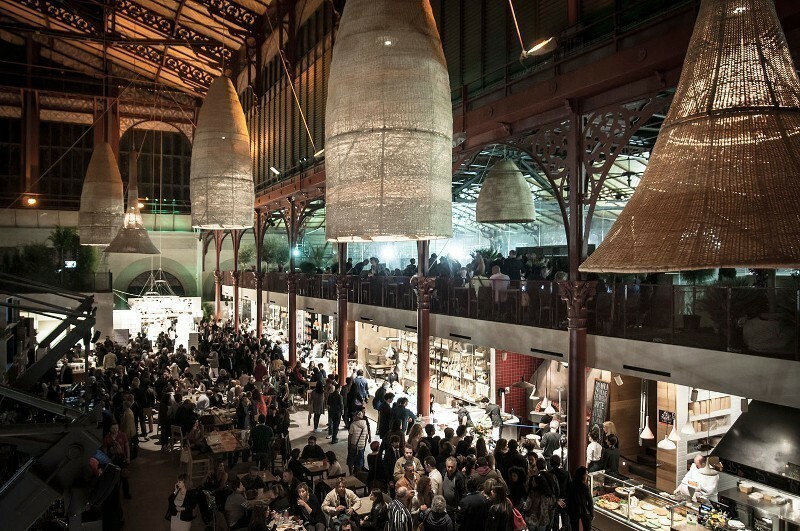 Mercato Centrale is a two-level food market in a beautiful building designed by Giuseppe Mengoni and built in the 1870s when Florence was still Italy's capital. Our partner cookery school in Siena specializes in hands-on courses that have a thematic flair that includes seasonal recipes and traditional Italian and Tuscan cooking. For example, you can learn how to cook vegetable and meat dishes in spring; fish dishes in summer; truffles, cabbage and mushroom dishes in fall; and poultry dishes and sweet cakes in winter. Here you can also learn notions of medieval cuisine with some ancient recipes dating back to the Middle Ages! Bologna is renowned for its culinary tradition, which relies heavily on meats. Just think of local specialties such as the well-known Bolognese sauce, and cured pork meats such as prosciutto and mortadella. Of course, you can sign up for a cookery course that will make you an expert in traditional meat dishes. But if you do not eat meat or are interested in other types of cuisine, in our cooking academy in Bologna you can also join Vegetarian, Dietetic and Gluten-free cooking courses. This city is also known as La Dotta, La Grassa e La Rossa (the Learned, the Fat and the Red), respectively because it is home to the oldest university in the Western world; because of its culinary treasures, and due to the terracotta color of its brick buildings and of its communist past. Truthful to its nicknames, Bologna offers several interesting cultural and artistic events, as well food festivals that will complement your culinary vacation. Examples are the MortadellaBò Festival and CioccoShow. The team at Studiainitalia has personally selected the cooking schools for your culinary travels in Italy. The lessons are held in full-professionally equipped kitchens and the teachers are professional chefs. 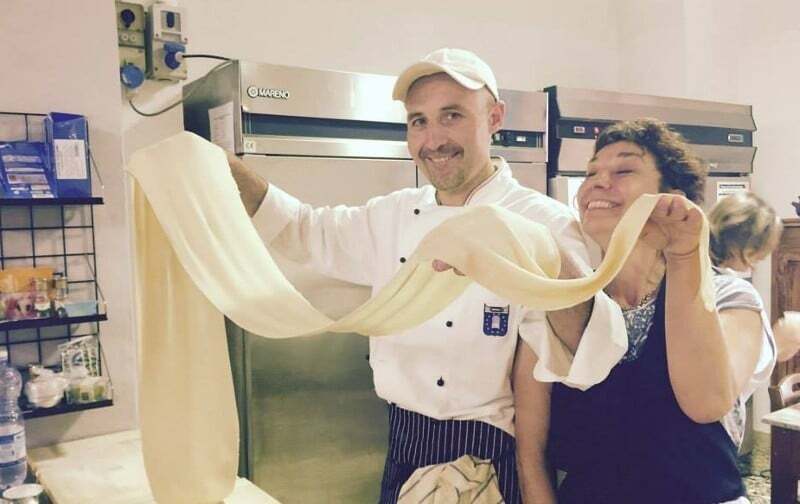 Apart from the examples mentioned above, you will also find specific courses about: homemade pasta, pizza, pastry, gelato, as well as cooking classes for families. Curious to know more? Have a look at our Cooking Courses in Italy or Contact Studiainitalia for more info.